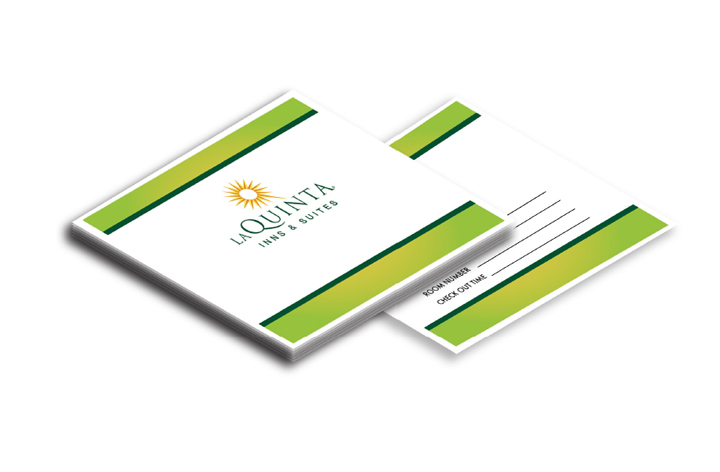 Our Keycards and Keycard Holders are printed on high quality materials. We use 80 lb silk cover paper, printed with a gloss aqueous coating on both sides. These Keycard Holders are cut, scored and folded with machine precision every page, every time. Choose whether you’d like to use your own creative department or ours. We have knowledgeable and experienced graphic artists. Should you choose to use our team, we are confident we can create something that will drive traffic to your business. 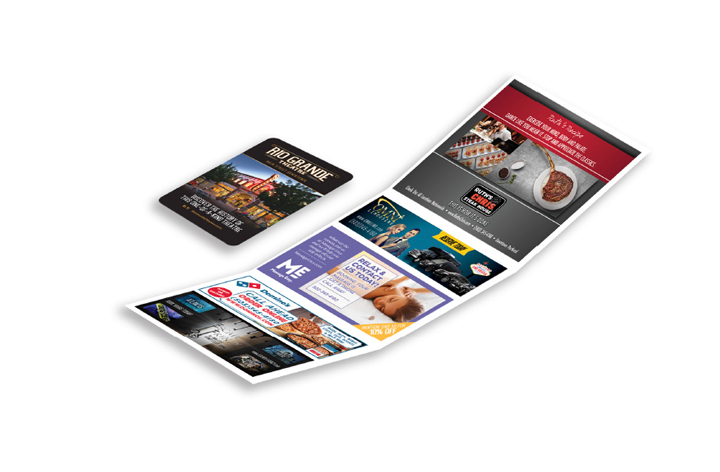 A “Call to Action” is recommended when advertising on Keycards and Keycard Holders. Hotels average TENS OF THOUSANDS of guests per year. 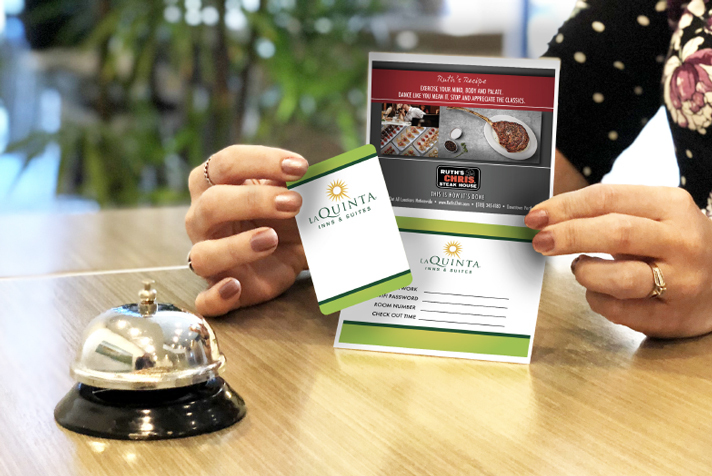 Guests reach for their Keycards and Keycard Holders more than 8-10 TIMES PER DAY. 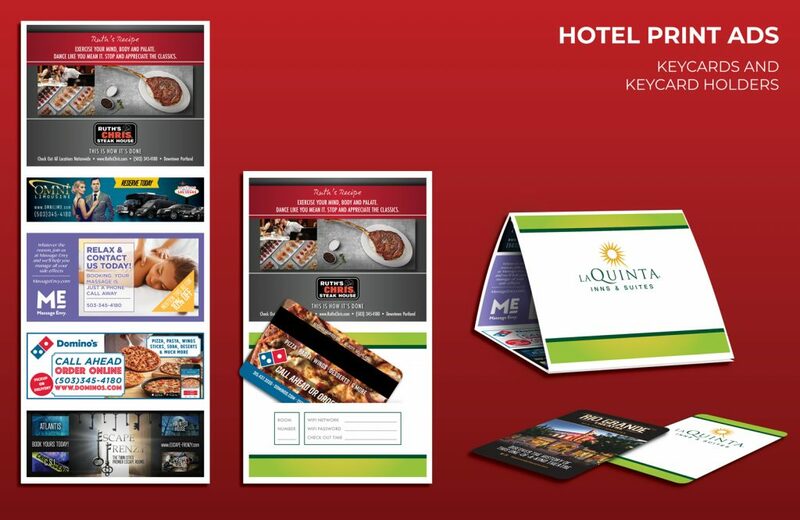 Keycards and Keycard Holders are a significantly MORE EFFECTIVE MARKETING technique. Hotel guests spend an average of $144 PER DAY on local food, entertainment and business activities. Set yourself apart with CUSTOM ARTWORK by our team of extremely talented graphic designers. 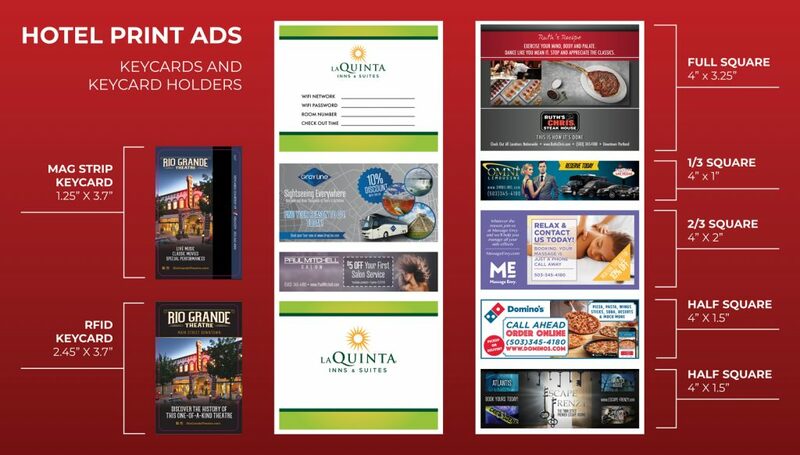 Gain MORE CUSTOMERS DAILY with your ad right in their hands. Our highly motivated sales team has been trained to act as a liaison for communication between our Advertising Co-Op partners and the hotels that we work with. Our goal is to offer the guests at the hotels a variety of options with reputable establishments for dining, shopping, entertainment, activities and other goods & services. Hotels see tens of thousands of guests per year, asking for suggestions on where to go and what to do. Guests spend millions of dollars on local food, services and entertainment daily. Let’s have them spend it with you. Our Keycard Holders provide a slot to insert the keycard, as well as a space for the front desk to write the room number and WiFi password. 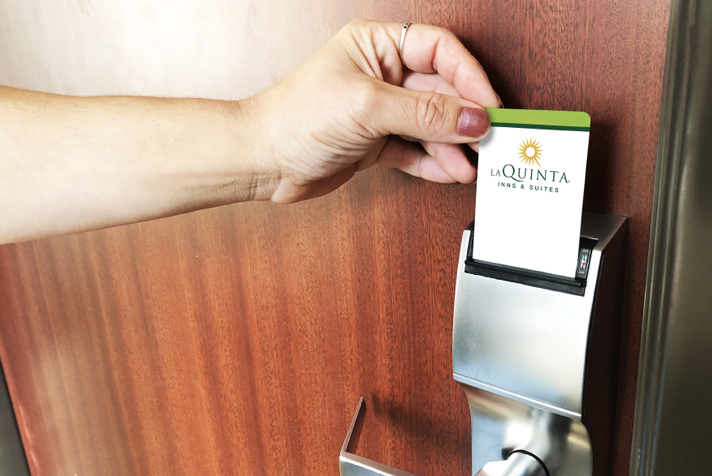 Help prevent guest’s Keycards from de-magnetizing. The Keycard & Holder are high quality and will last with great durability.